Fun Sleep, Madryt, Hiszpania : Rezerwuj teraz! Fun Sleep has rooms to accommodate 1, 2, 3, 4, 5 and 6 people. Enjoy our common areas, including a fully-equipped kitchen, dining room, 3 full bathrooms, living room, several sitting and reading areas and a TV room. Secure Wi-Fi (wireless internet) is provided throughout the unit free of charge. A complementary hair dryer is available for guest use. We are happy to provide any and all tourist and travel information about Madrid. We know the best places to eat, enjoy `tapas´, savor a good wine and do some shopping, and can recommend the finest restaurants, bars, clubs and local attractions. Check in Time: 13:00 hrs. to 20.00 hrs. Reception of guests from 10 am onwards. Kitchen access for guest use. Towels: In Private rooms included. 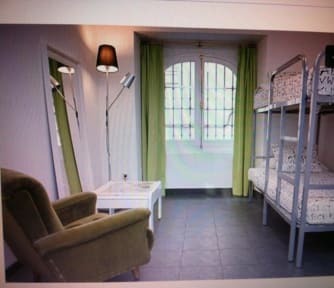 In shared rooms: to hire for 2 euros. Payment in cash up on arrival. The hostel felt like a true home away from home😃 i only stayed for one night, but the staff was super friendly and helpful, the place clean, cozy and nicely arranged, the atmosphere relaxed. 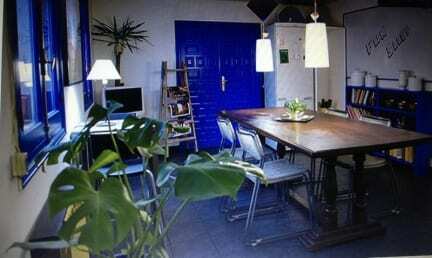 And the location is great as well. Next time i need a place in madrid ill definitely come back.